How clever is the cover image for Dirty Laundry’s brand new single ‘Downtown Underground’? 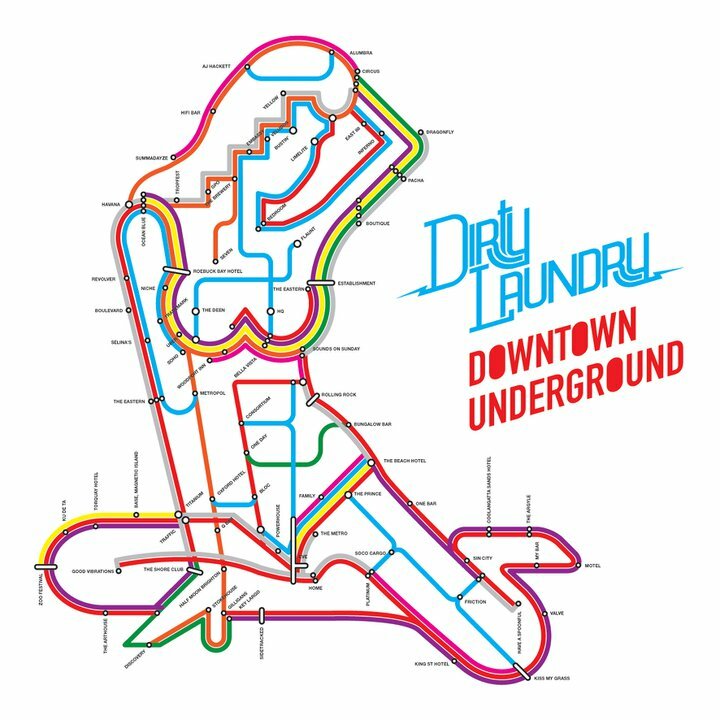 So we’ve never seen a metro map quite like this one before (and we’re not sure we’d know our way around it…) BUT the artwork is an homage to some of the venues Dirty Laundry has performed at over the past five years, with each of the stops representing a different venue. Clever, huh? And what’s even more clever is that the band has decided that their latest release will be a remix EP extravaganza, with no less than eight remixes featuring on the forthcoming digital EP. Check them all below, and get your mitts on the single when it drops on Monday October 25.